Kannur, also known by its anglicised name Cannanore, is a city and a Municipal Corporation in Kannur district, state of Kerala, India. It is the administrative headquarters of the Kannur District and situated 518 km north of the state capital Thiruvananthapuram. During British rule in India, Kannur was known as Cannanore, a name that is still in use by the Indian Railways. Kannur is the largest city of North Malabar region. Kannur is one of the million-plus urban agglomerations in India with a population of 1,642,892 in 2011. Kannur district is known as the land of Looms and Lores, because of the weaving industry functioning in the district and ritualistic folk arts held in temples. Kannur is famous for its pristine beaches, Theyyam (its native performing art), and its handloom industry. Kannur is of great strategic military importance in India. Kannur Cantonment is one of the 62 military cantonments in the country and is the headquarters of the Defence Security Corps and Territorial Army’s 122 Infantry Battalion (part of the Madras Regiment). The Indian Naval Academy (INA) is 35 km north of Kannur City. It is Asia's largest and the world's third largest naval academy. An Indian Coast Guard Academy has received approval to be built at Kannur. This academy will be built on the banks of Valapattanam River at Irinave, east of Azhikkal. The name Kannur. may have been derived from Kanathur, an ancient village. There are many myths and legends associated with the name Kannur. It is believed to be a portmanteau derived from two Malayalam words, ‘Kannan’ (Krishna, a Hindu deity), and ‘Uuru’ (place), the Land of Lord Krishna. During the British Raj, the city was known by its anglicised name Cannanore, the Portuguese version of its ancient name, 'Kannanore'. Kannur was an important trading center in the 12th century, with active business connections with Persia and Arabia. It served as the British military headquarters on India's west coast until 1887. In conjunction with its sister city, Tellicherry, it was the third largest city on the western coast of British India in the 18th century after Bombay and Karachi. The modern town is referred as Kannur Town. Kannur, as a district and surrounding areas were mostly ruled by the famous Kolathiri rajas (kings). When the state of Kerala was formed the district took the name Kannur, since the administrative offices were established here. Before that, Kannur was under the Chirakkal Taluk of Madras state under British rule. When the British dominated this part of the world, they preferred Madras and Cochin as their major stations and Kannur started to lose its old glory. The people of Kannur are still waiting for their old glory to get back and they feel they are being sidelined because the state administration is located exactly opposite side of the state. Part of the original city of Kannur was under Kerala's only Muslim Royalty called the Arakkal and this area is still known as City. St. Angelo Fort was built in 1505 by Dom Francisco de Almeida, the first Portuguese Viceroy of India. The Dutch captured the fort from the Portuguese in 1663. They modernised the fort and built the bastions Hollandia, Zeelandia and Frieslandia that are the major features of the present structure. The original Portuguese fort was pulled down later. A painting of this fort and the fishing ferry behind it can be seen in the Rijksmuseum Amsterdam. The Dutch sold the fort to king Ali Raja of Arakkal in 1772. 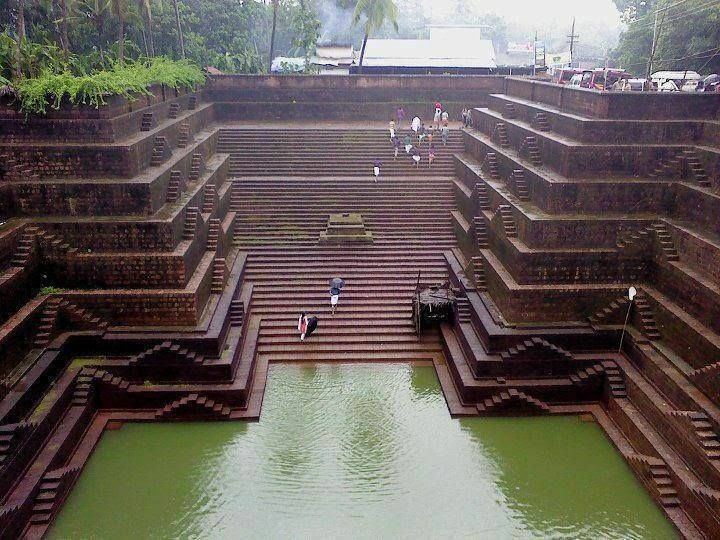 During the 17th century, Kannur was the capital city of the only Muslim Sultanate in Kerala, known as Arakkal. Then the British conquered it in 1790 and used it as one of their major military stations on the Malabar Coast. During the British Raj, Kannur was part of the Madras province in the North Malabar District. The guerrilla war by Pazhassi Raja, the ruler of Kottayam province, against the British had a huge impact in the history of Kannur. Changes in the socio-economic and political sectors in Kerala during the initial decades of 20th century created conditions congenial for the growth of the Communist Party. Extension of English education initiated by Christian missionaries in 1906 and later carried forward by government, rebellion for wearing a cloth to cover upper parts of body, installing an idol at Aruvippuram in 1888, Malayali Memorial in 1891, establishment of SNDP Yogam in 1903, activities, struggles etc. became factors helpful to accelerate changes in Kerala society during a short time. Movements for liberation from the colonial rule of British imperialism and struggles launched by these movements grew with them. Very soon, ideas about socialism and Soviet Revolution reached Kerala. Such ideas got propagated in Kerala through the works of Swadeshabhimani Ramakrishna Pillai, Sahodaran Ayyappan, P. Kesavadev and others.By the beginning of the 1930s some other useful developments were taking place. Important among them was Nivarthana Agitation in Travancore. That was the demand of people suppressed so far as untouchables and weaker sections for participation in government. This brought to the forefront struggles like proportional representation in government and reservation of jobs. This imparted a new enthusiasm among oppressed masses. Kannur, particularly the rural areas, has been referred to as a stranglehold of the left parties – locally known as 'party gramam'. Gramam means 'village' and usually denote local allegiance to only one party. Kannur has a strong presence of trade unions as well as left-leaning organizations. However, other parties also have strong influence. Kannur is the most politically volatile district in Kerala. Though Kannur is home to highly talented political leaders in the past including very talented two chief ministers Mr. K. Karunakaran and Mr. E. K Nayanar, central ministers E. Ahmed, C. M. Ebrahim, Venugopal, etc., the benefits of development was very slow to reach the place. 5 ministers out of 20 in the present government are from Kannur including the Chief Minister. The Chief Minister, Pinarayi Vijayan from Pinarayi village represents Dharmadam Constituency in Kannur. Since formation of the state, roughly half who occupied the Chief Minister's office had some sort of connection to the district. According to the 2011 census of India, Kannur city has a population of 56,823. Males constitute 46.2% of the population and females 53.8%. Kannur has an average literacy rate of 96.23%, higher than the national average of 74.04%. Male literacy is 98% and female literacy is 94%. In Kannur, 12% of the population is under six years of age. Hindus form the majority of the population with 32,026 members forming 56.3% of the population. There are 21,557 Muslims forming 37.9% of the population. Christians form 5% of the population with 2,892 members. The Anglo-Indian community in Kannur live mainly in the Kannur Cantonment of Burnacherry and its surrounding areas of Thillery, No.3 Bazaar and Camp Bazaar. Malayalam is the administrative and local language. Kannur Taluk has 34 villages. V-Pra Kaayal Floating park / V-Pra Park is a project from District Tourism Promotional Council DTPC. It is a Park which is beautifully constructed on top of Vayalapra kaayal. V-Pra park is one of the beautiful places in kannur district to spend with your family and children. Payyambalam Beach is a famous Kannur beach with an unbroken coastline of a few kilometres. From the beach, one can see ships in transit along the Malabar Coast, from beyond Kozhikode moving towards Mangalore, Goa and Bombay (Mumbai). It contains a well laid out garden and the massive landscaped sculpture of mother and child erected by noted sculptor Kanayi Kunhiraman. But it now lies vandalized by miscreants. Muzhappilangad Drive-in Beach (4 km length) is in the state of Kerala in southwestern India. It is parallel to National Highway 66 (formerly National Highway 17) between Kannur and Thalassery. 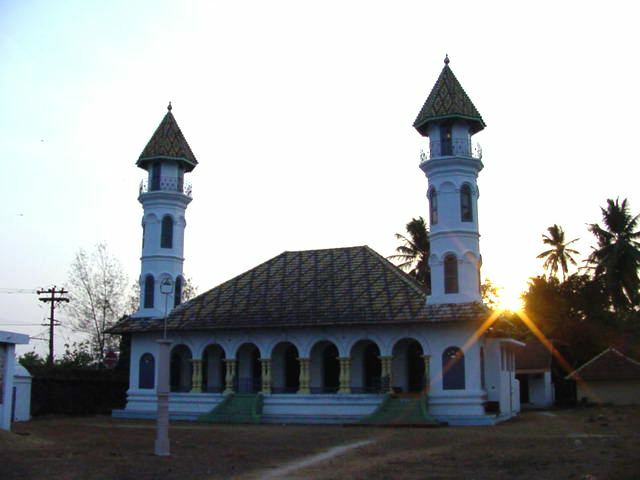 Arakkal Museum, in Ayikkara, is a museum dedicated to the Arakkal family, the only Muslim royal family in Kerala, South India. The museum is a section of the Arakkalkettu (Arakkal Palace). The Durbar Hall section of the palace has been converted into a museum by the Government of Kerala. It was opened in July 2005 after a massive renovation and is managed by the Arakkal Family Trust. Baby Beach is so called because it is smaller than its larger neighbour, Payyambalam Beach. St. Angelo Fort is adjacent to it. The baby beach is part of the Kannur Cantonment and access may be restricted at times. Meenkunnu Beach is at Azhikode, just a few kilometres from the town. Mapila Bay in Ayikkara, near St. Angelo fort, is a major fishing harbor overlooking the Laccadive Sea. The Azhikkal Ferry operates near Azhikode, about 10 km from Kannur town, where the Valapattanam river joins the Laccadive Sea. The Azhikkal ferry gives a magnificent view of the sunset. There is a granite pathway here which stretches 2 km into the sea. Frequent passenger boats are available to Mattool, Parassinikkadavu and Valapattanam from here. Parassinikkadavu snake park-famous unique snake farm dedicated for the preservation and conservation of snakes is in Kannur. Choottad beach is one of the stunning beach which kerala state tourism dept has recently developed with Choottad beach Park which have children park, rower boats, buggy ride and more....wonderful place for close sunset vision. 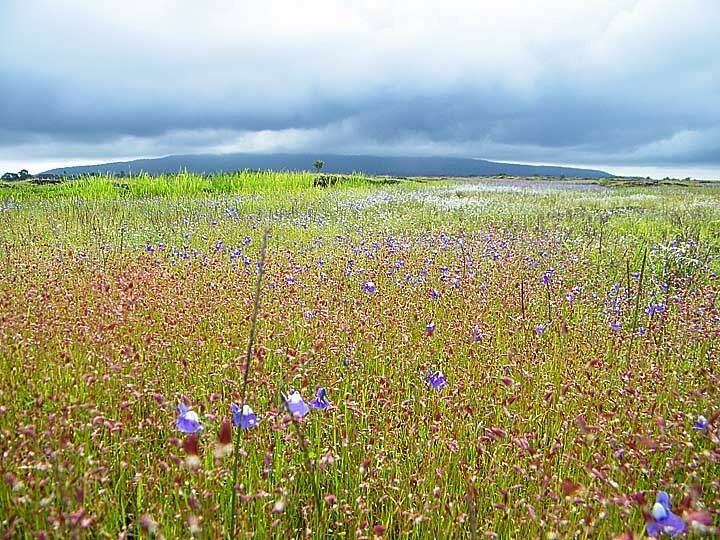 Paithalmala This enchanting hill station, situated 4,500 ft. above sea level near the Kerala - Karnataka border, is rich in flora and fauna. It is a 6 km trek to the top of the hills. Ezhimala Hill Ezhimala, the capital of the ancient Mooshika kings, is considered to be an ancient historical site. It is an onspicuous, isolated cluster of hills, forming a promontory, 38 km. north of Kannur. A flouriIshing sea port and centre of trade in ancient Kerala, it was one of the major battle fields of the Chola-Chera war of the 11th century. It is believed that Lord Budha had visited Ezhimala. An old mosque, believed to contain the mortal remains of Shaikh Abdul Latif, a Muslim retormlst, is also located here. The hill is noted for rare medicinal herbs. Bordered by sea on three sides, Ezhimala is set to occupy a prominent place in the naval history of the country, consequent to the proposal for ommissioning the N.aval Academy here. St. Angelo Fort was built in 1505 by the first Portuguese Viceroy of India, Dom Francisco de Almeida. In 1663, the Dutch captured it and then in 1772, they sold the fort to the Arakkal King. In 1790, the British captured it, and it was under the British until 1947. Indian Naval Academy is situated in Ezhimala, Kannur. Naval cadets are trained here in 2500 acres vast campus. Indian Coast Guard Academy, the first coast guard academy in India is under construction in Azhikkal. Kannur District has five Kendriya Vidyalaya at Kannur, Keltron Nagar, Payyanur, Ezhimala, and Thalassery. Kannur University was established by Act 22 of 1996 of the Kerala Legislative Assembly. The university by the name "Malabar University" had come into existence earlier by the promulgation of an ordinance by the governor of Kerala, on 9 November 1995. The university was inaugurated on 2 March 1996 by the Chief Minister of Kerala. The objective of the Kannur University Act 1996 was to establish in the state of Kerala a teaching, residential and affiliating university so as to provide for the development of higher education in Kasargod and Kannur revenue districts and the Mananthavady Taluk of Wayanad district. Kannur University is a multi-campus university. Government Brennen College, the first college in Kannur provide education to more than 2500 students. Government College of Engineering, Kannur was established in 1986 near Dharmasala, Kannur as a center for imparting engineering education in northern Kerala. The college is among the top ten engineering colleges of the state, providing higher studies in the field of technical education. Pariyaram Medical College was established in 1999 near Taliparamba. The medical college is at a distance of 10 km from Taliparamba and 32 km north of Kannur. Kannur Medical College was established in 2006 at Anjarakkandy with a 500-bed hospital. The thirteenth National Institute of Fashion Technology (NIFT) Campus in Kannur is located at Anthoor near Dharmasala, Kannur 12 km north of Kannur Corporation. Kannur has a good road network connecting to Mangalore, Bangalore and Cochin. The railway station is also well connected to all parts of India. The nearest airports are at Calicut and Mangalore while the new airport coming up in Kannur is expected to begin commercial operations in mid-2017. Kannur is on National Highway 66 or NH 66 (formerly National Highway 17) between Kozhikode and Mangalore. This highway is scheduled to be expanded to four lanes. A bypass for Kannur city is proposed under the NH widening project. Kannur is connected to Kodagu, Mysore and Bangalore in Karnataka by the Thalassery–Coorg–Mysore interstate highway. Kannur railway station is one of the major stations of the Southern Railway zone, under the jurisdiction of the Palakkad. All trains including the Thiruvananthapuram Rajdhani Express and Kochuveli Garib Rath stop at Kannur. Six daily trains and around 15 weekly or bi-weekly trains connect Kannur to the capital Thiruvananthapuram. Kannur International Airport is being constructed at Mattanur in Kannur District, Kerala, India. It is the fourth international airport in Kerala. The airport will have a 4,000 metres (13,000 ft) runway (the longest in the State) and state of the art passenger terminal as well other amenities. It will be well connected by a comprehensive network of roads and a proposal for railway line has also been mooted. In the 2016–17 Union Railway budget, ₹400 crore (US$62 million) were dedicated for under Extra Budgetary Resource (EBR) in which a part of the bill will be borne by the State Government towards the railway line. Malayalam movie actors Sreenivasan, Vineeth Sreenivasan, Dhyan Sreenivasan, Vineeth, Vineeth Kumar, Samvrutha Sunil, Raghavan, Jishnu, TV Chandran, Santhosh Keezhattoor, Manju Warrier, Sreekala Sasidharan, Anju Aravind, Archana Kavi, Kavya Madhavan, Sanusha, Saleem Ahmed, Geethu Mohandas, Mamta Mohandas and Sruthi Lakshmi are from Kannur District. So are music composers Kaithapram Damodaran Namboothiri, K. Raghavan, Kannur Rajan, Ramesh Narayanan, Sathyan Edakkad, dancer Shamna Kasim, baby serial actor Niranjana G – Manjurukum kalam fame and singers Ramachandran Cherukunnu Erancholi Moosa, Kannur Shareef and Sayanora. Many local cable television channels are available in Kannur. The most popular cable channels are City Channel, City Gold, City Juke, Network Channel(s), Zeal Network, Kannur Vision, World Vision, Worldvision Music, Chakkarakkal, and Gramika channel Koothuparamba. A number of newspapers are published from Kannur, including the Malayala Manorama, Mathrubhumi, Madhyamam, Deshabhimani, Deepika, Rashtra Deepika, Chandrika, Kerala Kaumudi, Mangalam, Janmabhumi, Veekshanam, Thejas, Siraj, Suprabhaatham, Janayugom and The New Indian Express. Kannur has an elevation of 1.02 metres (2.98 ft) along the coast of the Laccadive Sea, with a sandy coastal area. The town has an 8 km-long seashore and a 3 km-long beach at Payyambalam. Kannur experiences a rare humid tropical monsoon climate under the Köppen climate classification (Am). In April and May, the average daily maximum temperature is about 35 °C (95 °F). Temperatures are low in December and January: about 20 °C (68 °F). Like other areas on the Malabar Coast, this town receives heavy rainfall during the Southwest monsoon. The annual average rainfall is 3438 mm, around 68% of which is received in July. Kannur is located towards north of Kozhikode (Calicut, India) south of Mangalore and towards the west of Mysore district.